Here, we highlight one member of the University community who is being featured this season. Daniel Hargrove is one of four featured speakers at Memorial Art Gallery’s Hidden Passions event at 7 p.m. Thursday, February 9. He’ll be joined by fellow undergraduates Ibrahim Mohammad, Omar Soufan, and Erik Rosenkranz, who will share the stories of their passions. Like many college students at the University of Rochester who thrive on the school’s open curriculum, Dan Hargrove ’17 (KEY) has multiple interests that he pursues with equal vigor. When he appears this week at the Memorial Art Gallery’s monthly series “Hidden Passions,” the international relations major will be talking about two distinct pursuits. The first is his art. With no formal training, Hargrove has honed his craft, creating detailed, colorful ink and watercolor marker drawings. His work, which he showcases in an online portfolio at Danielhargrove.com, features vibrant scenes of surreal worlds as well as collage-style pieces. 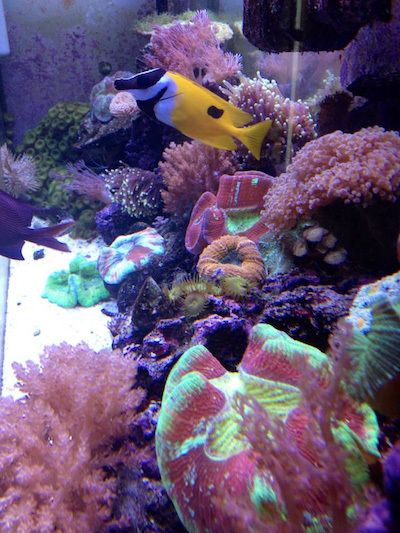 He’ll also be discussing the coral reef he created and has maintained in an aquarium at home since he was 14 years old. He says it took a lot of trial and error to find the right balance of proteins, light, and coral species to best sustain his small ecosystem. In addition to the coral, there are five fish living in the reef today—two clownfish, two eels, and a lawnmower blenny—which Hargrove describes as a comical fish with eyebrows. He notes that he comes from an artistic family. His great aunt, Riva Helfond, was an artist with the Works Progress Administration, the federally funded program that provided jobs to unemployed people during the Great Depression of the 1930s. Hargrove says his desire to spend time working on his art motivates him to finish his schoolwork. “I’m always doodling,” he says. 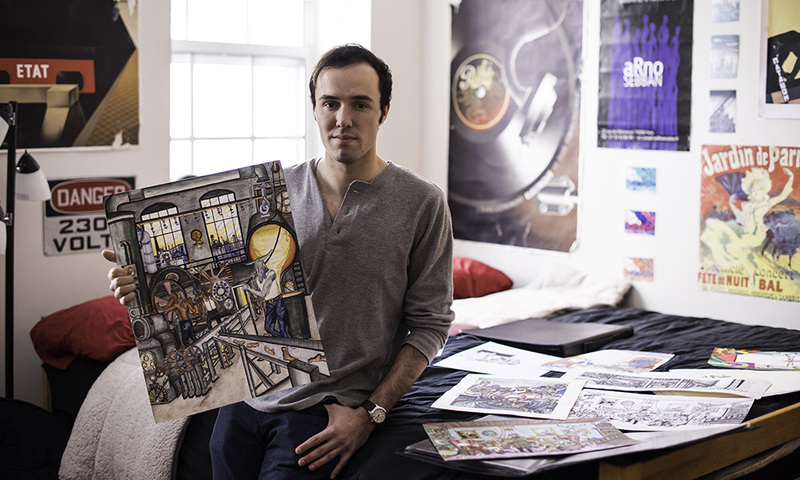 This year, he’s serving as art director for ArtAwake, a student-run festival that aims to bring art to a vacant space in the city of Rochester. As for coral reefs, that interest, too, began after a childhood outing—in this case, after a visit to an aquarium with his grandmother in Virginia Beach. Inspired by his experience interacting with stingrays and other sea life, Hargrove installed a 4x2x2-foot aquarium and created a coral reef in his room. Since he travels home to Essex Fells, New Jersey, only once or twice a semester, his mother helps maintain the reef by scraping algae off the tank throughout the week. Is there a common thread between his interest in art and coral reefs? Hargrove says it’s his interest in what you don’t always see. For art, it’s the process and inspiration behind its creation. In his coral reef, it’s the tiny creatures—such as a sea cucumber or sea serpent— that you don’t see when the tank’s lights are on. “It’s like having a slice of the ocean,” he says.